After some years of silence Argonaut AB was re-activated in 2015. The company is backed by a strong consortium of Swedish industrialists and investors who together with the management of the company own the company’s shares. 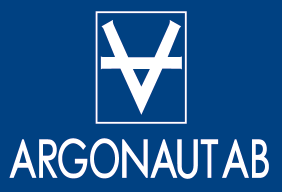 Argonaut AB’s chairman is Mr Mats Jansson and its managing director is Mr Björn Laike. The company is located in downtown Gothenburg. Initiated by Stockholm Chartering AB, a consortium of Swedish industrialists and investors including N&T AB, Jan Rask, Christer Salén (Oscaria Capital AB), Per-Magnus Sander (Arawak Capital Ltd.), Björn Danckwardt-Lillieström (Danckwardt Research AB), Malcolm Norlin (Girindus Investments AB) and Coco Belfrage (Swedocean AB) was formed to raise capital in order to re-activate Argonaut AB. This was done in early 2015. The management of the company consisting of Mr Björn Laike, Mr Richard Raimer, Mr Martin Sjöholm and Ms Julia Dahl Lövgren as well as the chairman Mr Mats Jansson (same Mr Jansson who was the managing director of Argonaut during the eighties and in the nineties) was recruited and the company was successfully re-launched in May 2015. In the beginning of 1983 Argonaut AB was set up by Saléninvest AB who simultaneously sold two of its ULCC (Ultra Large Crude Carriers), Sea Saga and Sea Song (both 358,000 tdw), to Argonaut. At that time the market was historical weak with a significant oversupply of tonnage and low freight rates. Consequently newbuilding prices as well as the price of second-hand tonnage were low. The idea behind Argonaut was to use this market imbalance and create value and profits through successful sale and purchase activity combined with chartering of vessels. In the summer of 1983 Argonaut was introduced on the Stockholm Stock Exchange where 2/3 of the shares were sold to the public and 1/3 was kept by Saléninvest. Mr Mats Jansson was recruited from Saléninvest as Argonaut’s first managing director. During 1983 Argonaut also ordered the 95,000-dwt tanker Golden Fleece and purchased a 50 percent stake in the product tanker Argo Asia (64,000 dwt). Saléninvest AB went bankrupt in December 1984 and their Argonaut shares were taken over by Walleniusrederierna who became the new head owners. All chartering, operation as well as technical management of the Argonaut vessels had up to this point in time been carried out by Saléninvest. Therefore Argonaut now needed to find a new solution. In 1985 Stockholm Chartering AB was founded with Argonaut as one of the owners. Furthermore, the ship management company Nordia Shipping AB was also founded backed by Argonaut. The next mile-stone in the company took place in 1986. In May Argonaut acquired 10 tankers ranging from 128,000 tdw to 358,000 tdw from the state-owned company Zenit Shipping AB. In order to limit the risk 46% of this project was re-sold to other investors. Furthermore, the dry bulk company Monitor Shipping AB was also bought in the spring of 1986. Monitor Shipping AB, also a spin-off from Saléninvest, was finally merged with Argonaut in January 1987. In October 1987 one firm plus 3 optional VLCCs (Very Large Crude Carriers) were ordered at very favourable prices. All three options were declared and all four vessels were delivered to Argonaut. During the period of 1988 to 1990 a number of vessels, both tankers and bulkers, of various sizes were purchased, sold, ordered, delivered and chartered in. In 1990 Argonaut founded together with among others Aros, Ratos and Skandia, the Swedish offshore company Ymer Offshore AB (where Mr Jan Rask later became the CEO). Same thinking was behind this entry, i.e. a depressed market. In 1991 Argonaut’s board of directors decided that the company should focus on VLCC. Between 1992 and 1993 tankers and bulkers not fulfilling the requirements of this new strategy were sold. The shares in Ymer Offshore AB were divested in 1993 after Walleniusrederierna sold all their shares in Argonaut AB to Argonaut’s competitor Nordström & Thulin AB. At that time Mr Mats Jansson left the company. Under Nordström & Thulin the streamlining of Argonaut continued. In 1995 a cooperation between the World-Wide Shipping group, Nordström & Thulin and Argonaut was initiated. Thereafter in 1996 Mr Helmut Sohmen and his family (World-Wide Shipping) took control of Nordström & Thulin (and indirectly of Argonaut through Nordström & Thulin). Finally in 1997 it was decided that Nordström & Thulin should merge with Argonaut. This was effected in the beginning of 1998 when the new company NTA (Nordström & Thulin Argonaut) was founded. As an epilogue it could be worth mentioning that in January 2000 Mr Helmut Sohmen and his family finally bought all outstanding shares in NTA, where after NTA was delisted from Stockholm Stock Exchange and all remaining NTA vessels were transferred to World-Wide Shipping. 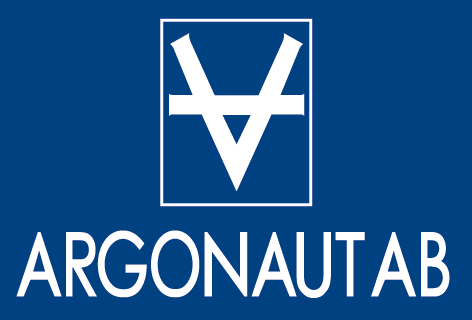 The company’s name Argonaut originates from the Greek mythology. In the story of Jason, the Argonauts are the heroes and warriors accompanying Jason on his fearsome quest to find the treasured Golden Fleece and reclaim his rightful throne. When Jason at the age of 20 returned to his homeland to claim his throne, he discovered that his uncle Pelias had stolen the throne from Jason’s father. His uncle agreed to give up the throne, if Jason could bring home the legendary Golden Fleece. The Golden Fleece was cut from a magical winged ram and was put on display on an oak in a holy grove in the far away land of Colchis (today’s Georgia) at the Black Sea. There the Golden Fleece was guarded by a fire-breathing dragon that never slept. In order to fulfil his mission, Jason built a fifty oared ship, the Argo, and sent word to all the kingdoms of ancient Greece to find fifty heroes and warriors to assist him in his impossible challenge. Many Greek heroes, like Heracles, Laertes (the father of Odysseus) and Peleus (the father of Achilles), heard his word and assembled. Jason named them the Argonauts after his ship the Argo. Jason and the Argonauts set sail on their quest overcoming many difficult situations and challenges, such as terrible reefs, fields of soldiers, sea monsters, wild bulls and the fire-breathing dragon before finally recovering the Golden Fleece with the assistance of Jason’s prospective wife Medea and reclaiming Jason’s throne.